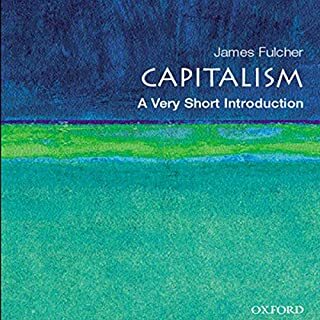 Explaining the origins of capitalism, this Introduction raises the issue of whether capitalism indeed originated in Europe. Next it examines a distinctive stage in the development of capitalism that began in the 1980s in order to understand where we are now and the various stages that have evolved since. This book charts a path through the outpouring of efforts to understand and explain modern terrorism, by asking what makes terrorism different from other forms of political, military action; what makes it effective; and what can be done about it. It unravels complex central questions such as whether terrorists are criminals, whether terrorism is a kind of war, what kind of threat terrorism represents, how far media publicity sustains terrorism, and whether democracy is especially vulnerable to terrorist attack. International security is never out of the headlines. War and peace, military strategy, the proliferation of nuclear weapons and revisionist states remain central to the discussion, but concerns such as climate change, migration, poverty, health, and international terrorism have complicated the field. So what really matters: The traditional prioritization of state security or the security needs of individuals, humanity, and the biosphere? Stupid book. I regret purchasing this. ©2009 Oxford University Press (P)2009 Audible, Inc. This truly is a dazzling brief introduction to a subject that could not be covered even by a very long book. As Steger points out, the fact of globalization is the predominant issue of our time. Far too man, as he points out, tend to treat the subject in monolithic or simplistic fashion, focusing on merely one aspect of globalization, and assuming that that aspect defines all of globalization. Anyone familiar with Thomas Friedman's THE LEXUS AND THE OLIVE TREE (who is frequently described as a "hyper globalizer") will recognize one such very narrow approach. Despite his brief space, Steger wants to do justice to the complexity of the subject. 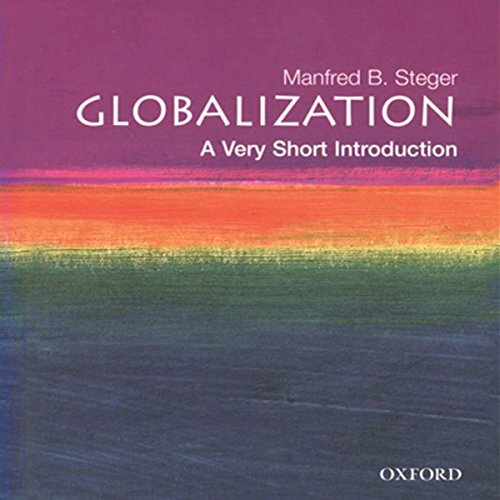 For the past decade, most writers on globalization have focused on economic globalization, but Steger emphasizes that the process has political, economic, religious, cultural, environmental, and ideological conditions. Many people who tackle the question of globalization seem to want to know, "Is this a good or bad thing?" Steger is anxious to emphasize that this does not admit of an easy answer. Clearly, the massive increase of economic inequality--which occurs both on international and national levels, e.g., wealth has more and more been concentrated in the industrial countries of the northern hemisphere, and within those countries, more and more in the hands of a small economic corporate and investing elite--is not a good thing, but that is not the only aspect of globalization. Steger seems to suggest that there are both significant advantages and some lamentable dangers in globalization. Do you like being an audience for an angry socialist? Then don't waste your time listening to this book. If it's for a class, this version isn't the latest anyway. There are plenty of new rants in the 2013 book version that aren't in the 2009 audio. What book is the narrator reading from? What book what is the narrator reading from? I tried to follow along in my hard copy and was lost. Why is she reading from a different book? What a waste of time this audiobook was for me. I like to have my hard copy and take notes as I am read to. This book deviates massively from the hard copy so it has set me back with my homework. Not cool and not what I wanted. Did Globalization inspire you to do anything? Always. This book is for a school class. let us know if the narrator is going to deviate from the hard copy or update the recording. Would you try another book from Manfred Steger and/or Elisabeth Rodgers? 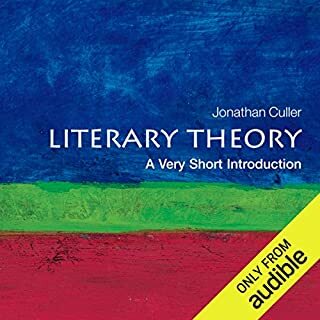 I usually buy the audio book to go along with the reading because hearing the words and reading them at the same time give me a better understanding of the book. When I tried to do that with this book I had some problems because there were massive chunks of the book missing from the narration. The book is well written and well read and fulfills its mission of giving an introduction to the multifaceted reality of globalization. 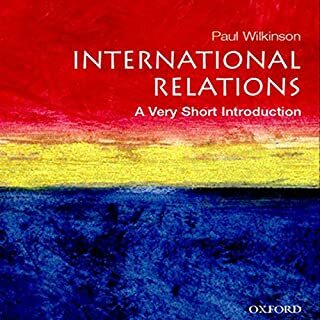 The author is a university professor who analyzes globalization from the vantage point of understanding a developing and increasingly complex academic subject. 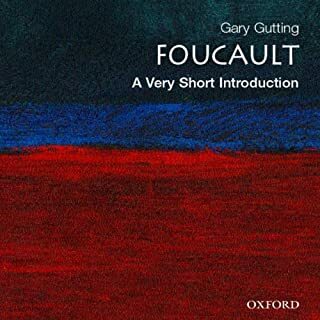 Although I largely agree with the author's point of view on many issues, I was disappointed that he seemed unaware how ideological his own presentation was and how he marches in step with a kind of academic-left orthodoxy that has long been in vogue in his professional context. 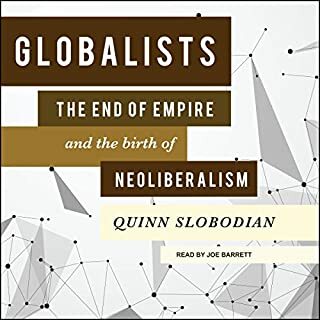 He has definite bogeys, especially "neoliberalism" (which is usually more a term of abuse than of analysis), the idea of markets, and almost any manifestation of American politics or popular culture -- with some notable exceptions: Ralph Nader and a number of American scholars. It is striking how his descriptions of some points of view are loaded with words of scorn and condescension, while views of which he approves are described in words that glow with justice and human flourishing. All the while, seeming to give a balanced and straightforward presentation of unfolding facts. In spite of these weaknesses, however, the book knowledgeably covers a wide range and gives a very helpful overview of the subject. This was an extremely detailed and informative summary of globalisation. I struggled with the first chapter but it really started coming together in the latter chapters. 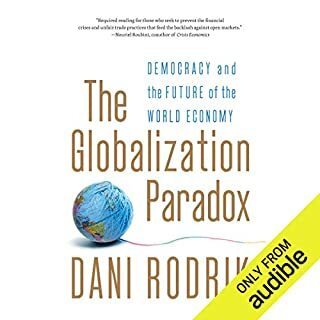 This book is 10 years old now but I doubt there is much more that could be written if it was to be updated, it was amazing how relevant it all still is and the final chapter that gives some predictions for globalisation are so on the money and describe exactly what is actually happening.